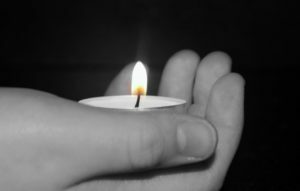 If you were unable to attend the Kent Interfaith Alliance for Reconciliation and Justice vigil held on Sunday, July 10 at the Unitarian Universalist Church of Kent, consider listening to the podcast below. This vigil was an opportunity for people to come together to express their grief resulting from the terrible violence in Baton Rouge, LA, Minneapolis, MN, and Dallas, TX and to honor the lives that were lost – the black ones and the blue ones. Several people joined together to grieve and to pray and to recommit themselves to working together for peace and equity for all people. This vigil was an opportunity for folks to witness the connections between us. None of us are free until all of us are free.